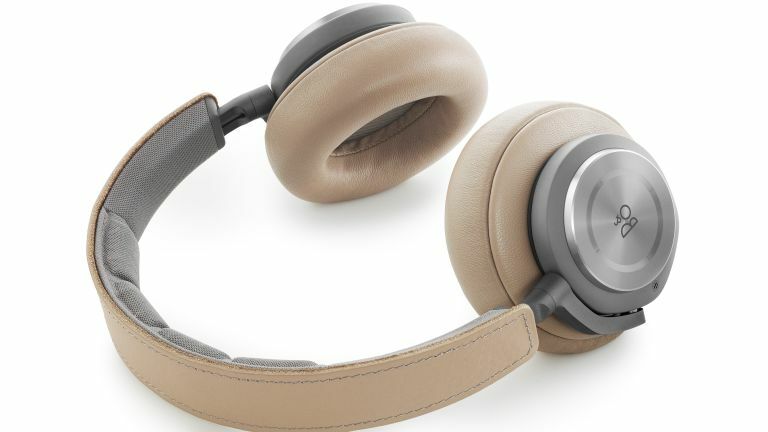 We're big fans of B&O Play headphones here at T3.com and we loved the Beoplay H7 Bluetooth headphones as well as the H8's (which added Active Noise Cancelling). Now there's these - the £449 flagship Beoplay H9 headphones go one better with hybrid Active Noise Cancellation (ANC) and enable you to have background noise-free listening for up to 14 hours on a three-hour charge. Naturally you can wire them up if you do run out of juice. The hybrid ANC works using multiple microphones placed bothy on the outside of the ear cushion as well as inside. The idea is that the noise is captured before it reaches the ear. The headband uses cowhide leather atop aluminum, while the ear cushions are wonderfully soft (we're going on our experience with the H8's there) and designed for supreme comfort. The anodized aluminium also enables you to activate the noise cancelling function, change songs, answer calls and control the volume with a touch or swipe. We're hoping this has been improved a bit from earlier generations as we often made the wrong move. We're told it works with gloves on. When paired with the Beoplay App for Android, iOS and Apple Watch, Bang & Olufsen sound engineers have created a bunch of sound profiles specifically for the Beoplay H9: Commute, Clear, Workout and Podcast. Now why not check out the best over-ear headphones?